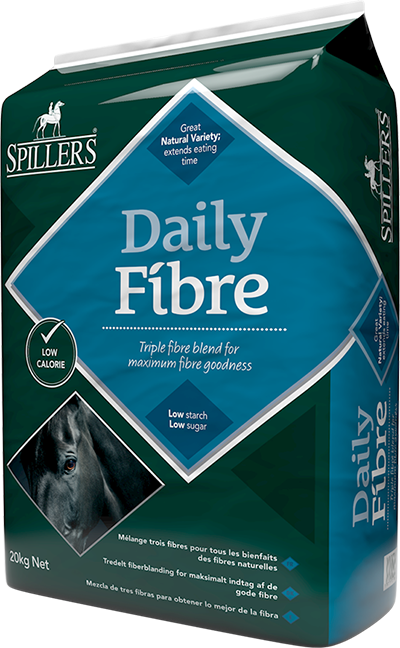 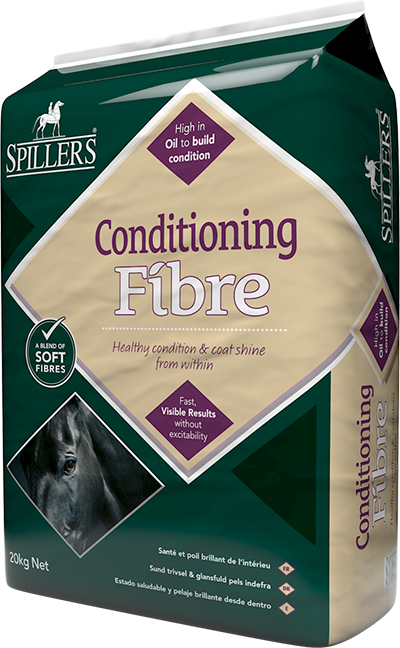 A unique, low calorie fibre blend suitable for those prone to laminitis. 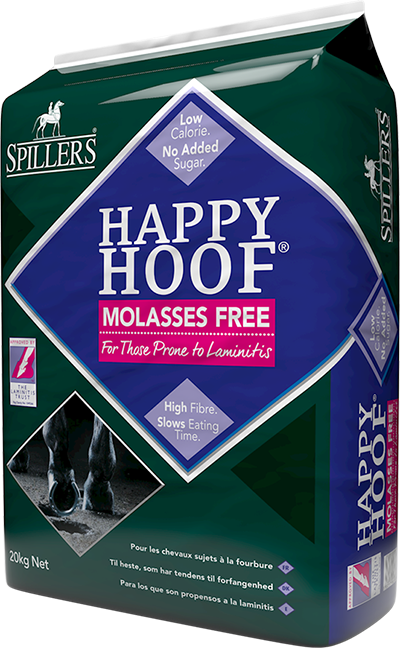 SPILLERS HAPPY HOOF® is proven to produce a low glycaemic response and, with the addition of magnesium, helps to maintain a healthy metabolism. 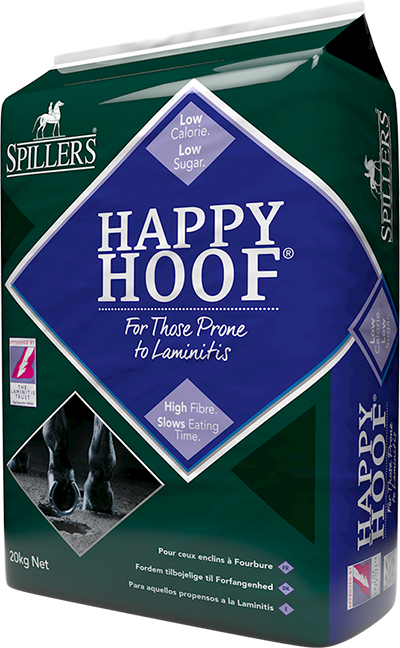 8kg of SPILLERS HAPPY HOOF® per day divided into a minimum of 4 meals.